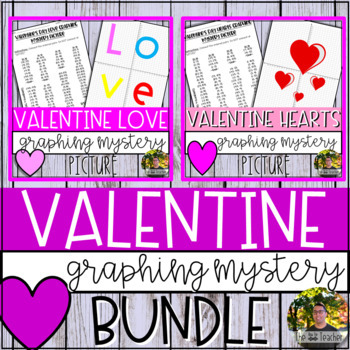 Graphing Mystery Picture GROWING Bundle! Aww, love is in the air! 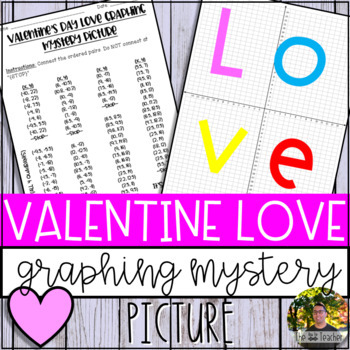 My students love graphing mystery pictures! It serves as a great activity for early finishers, students looking for a free time activity, student desk work for seasonal times (i.e. Christmas, Valentine's Day, etc. ), GATE students in lower grades, and remedial work for students in upper grades. 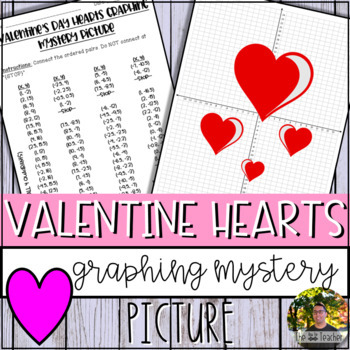 With the “Valentine's Day Graphing Mystery Picture GROWING Bundle," have your students learn about coordinate grids, ordered pairs, axis, quadrants, and much more with this fun activity! This GROWING bundle is a lifetime bundle, which will update you when more products are uploaded. The price will increase as products are added, so be sure to purchase NOW! DIFFERENTIATED! Look below to see the different versions. 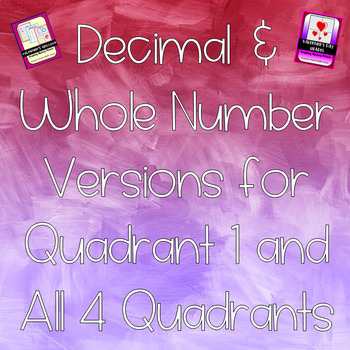 The products contains decimals AND whole numbers for a Quadrant I and All-4 Quadrants versions. Look in the parentheses below to see which versions are available. CLICK THE LINKS! If you have any comments, feel free to contact me via email: raulvillanueva3539@gmail.com. Please review this product and let me know what you think. I appreciate it! Here is what's included in the GROWING BUNDLE!